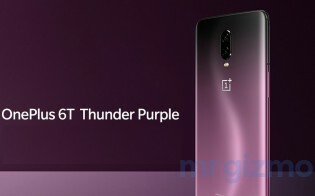 Last Thursday we saw a Thunder Purple version of the OnePlus 6T appear on the company support page and briefly listed on Amazon Germany. 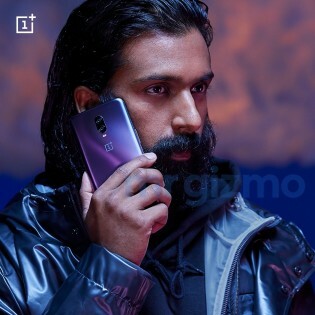 During the weekend, official promo images surfaced, revealing the phone’s color. 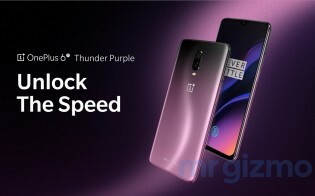 The Thunder Purple OnePlus 6T appears to have a gradient hue that goes all the way from violet to lilac to amaranth shade of pink, depending on how the back panel is reflecting the light. All previous gradient backgrounds arrived with a glass panel or another transparent solution, meaning the Thunder Purple version will be closer to the original Mirror Black rather than the Midnight Black which has a metal panel. Last week the Thunder Purple phone was briefly listed on Amazon with a €580 price tag for the 8/128 GB. 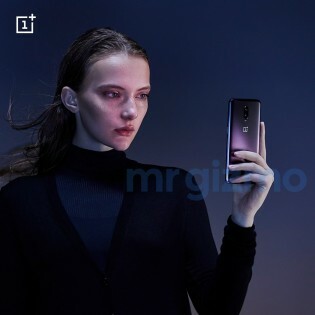 We are pretty sure this will be the actual cost (same for both Black options), since OnePlus generally uses the same price tag for new colors as it did with the Red or White OnePlus 6. The Purple device will likely keep the impressive specs like Snapdragon 845, UD fingerprint scanner and waterdrop notch on the 6.4” AMOLED screen. Never say that to an audiophile. Never! So does this thunder purple have metal back ? Both of them dont have metal back panels. Both of them are glass sandwiches. Gorilla glass 6 front and 5 on the back.